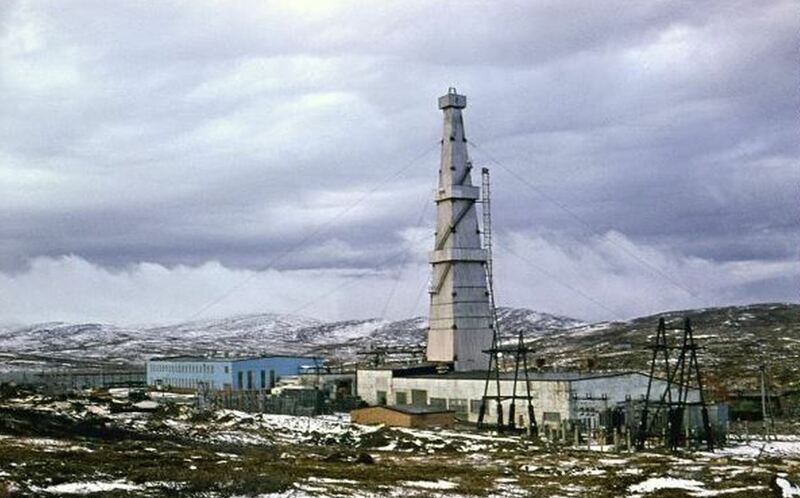 Kola super-deep scientific well derrick, around 1980. Chasing gold, humans have dug tunnels almost four kilometres into the Earth. Oil men have drilled down ten kilometres, but with occasionally disastrous results. Money is a strong motivator, but scientific curiosity is even stronger when measured in meters of pipe pushed vertically into the planet. At this moment, the deepest well ever drilled reached 12,289 metres. That was the Kola Superdeep Borehole. It’s in Russia, 25 kilometres from the Arctic Ocean and quite near the Finnish and Norwegian borders. It was started in 1970 and was an amazing feat of Soviet-era technology. The Russians weren’t after gold or oil. Their mission was to drill through as much of the Earth’s crust as possible and learn what they could about our planet’s deep geology and geophysics. It was a gallant effort, but they made it just one-third the way toward piercing the mantle. The drilling lasted 24 years (off and on) before it was abandoned. A few years were spent completing seismic and petrophysics tests around the well, then everyone went home. The expensive drilling stopped in 1994 – Russia had other priorities. The area is now a disintegrating assemblage of rusting and ruined buildings. We’ll return to the Kola Peninsula tomorrow for both a look at its achievements and a glance at the persistent rumour that the Russians reached a cavity inhabited by demons. Some will tell you that Satan – and not the collapse of the Soviet Empire – was the reason the drilling stopped. The Russians weren’t the first to point a research drill bit towards the mantle. The Americans had Project Mohole, which was intended to reach the Moho, or Mohorovičić discontinuity. The discontinuity was discovered by a brilliant Croatian geophysicist who used seismograph data collected during a 1909 earthquake to discover the lower limit of the Earth’s crust. Near Zagreb, Andrija Mohorovičić found that continental crust extended down about 50 kilometres. Other scientists later discovered that oceanic crust is much thinner – only about 6 kilometres thick. If someone wants to drill through crust to reach the mantle, the job would be easier out in the deep sea where one-tenth the boring is required. That’s where the Americans set up Project Mohole. “Saturday April 1 – Some kind of celestial celebration The wind moderates. the swell begins to flatten. With infinite care the core is lowered and grinds its way into the hard rock. The ship is on fire with expectation. This may be the second layer forecast by the echo instruments. We have slept very little, only short naps. Any change of sound from engines or drill rig perks us wide awake. “Easter Sunday, April 2 – Delight on the CUSS. We brought up a great core of basalt, stark blue and very hard with extrusions of crystals exuding in lines – beautiful under a magnifying glass. 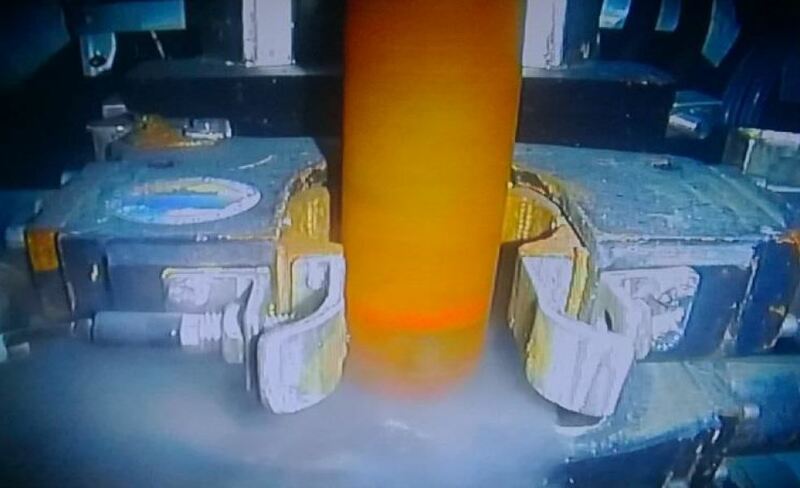 The scientists are guarding this core like tigers. Everyone wants a fragment as a memento. We have broken drilling records every day but now we have broken through to the second layer which no one has ever seen before. We figure this core cost about $5.000 a pound. I asked for a piece and got a scowling refusal and so I stole a small piece. And then that damned chief scientist gave me a piece secretly. Made me feel terrible. I had to sneak in and replace the piece l had stolen.” – John Steinbeck, writing for Life magazine in 1961. Project Mohole was cooked up by a bunch of goofy geophysicists at the American Miscellaneous Society. [Goofy: Their motto was Illegitimi non Carborundum and they annually awarded a stuffed albatross to a favoured geophysicist.] Project Mohole was initially funded by the National Science Foundation. The USA was losing the Space Race in 1961, so science prestige was at stake. Mohole funding was killed in 1966 when the US began to win the Space Race and national prestige was no longer at stake. By then the American drillers had penetrated a small bit of shallow ocean crust under the Pacific, just off Mexico. Some dismiss Project Mohole as a dismal failure. In 1961, the drillers reached a depth of only 183 metres (600 feet). The west coast geophysicists didn’t stick their pipe in very far. Mohole was dubbed No Hole by 1966. The entire American project was intended as a proof of concept test. 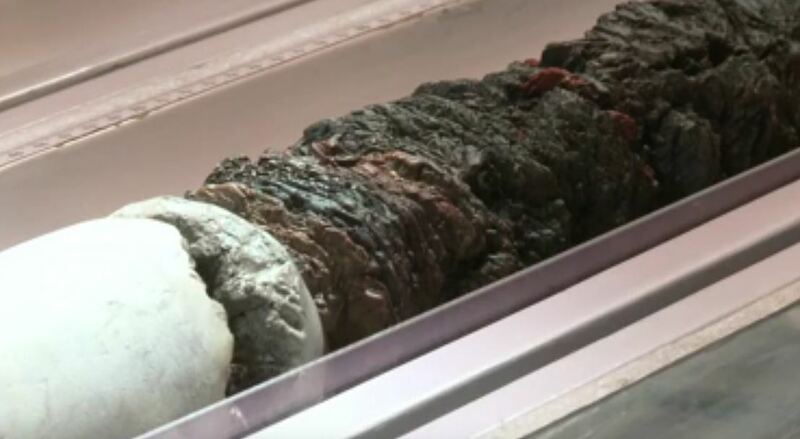 The scientists proved they could do it, but they would need to drill through a few thousand more metres of basalt to reach the mantle and they would need a few hundred million dollars more to do it. Congress, spending heavily on the war in Vietnam (and busy building an otherwise Great Society for Lyndon Johnson) cancelled the drillers’ budget. The Bulletin of Atomic Scientists (May 1968) called it “the most visible management fiasco in the scientific world to date.” The American Miscellaneous Society soon disbanded – proving to themselves that their motto (Illegitimi non Carborundum, “don’t let the bastards grind you down”) wasn’t particularly suited to their drilling project. It had been ground down by both Congress and basalt. On the other hand, the society’s final report sedulously called the Mohole project Phase I. Over the next couple of decades, there were a few other scientific attempts to drill through the crust and reach the mantle. These were mostly international efforts. Sometimes funding for pure research is more easily obtained if the petitioner can tell his/her government that France, or Japan, or whomever, were also on side. However, even today, none of the efforts has yet nabbed the prize – a drill bit into the mantle. Despite the “continued recycling of unaccomplished goals”, the east-Pacific project may not be completely dead. With enough money, it may one day continue to its original goal, the mantle. In June 2015, Géosciences Montpellier Université de Montpellier reported “Although operational difficulties precluded the achievement of primary objectives…deepening this important reference hole into intact ocean crust should be undertaken in the near future to achieve long standing primary goals of scientific ocean drilling.” Indeed it should. But again and again, we learn about technical issues slapping cold water on these deep drilling projects and money drying up quickly. An ambitious Japanese-led project got closer than anyone else so far. In 2012, the Japanese set a world record by drilling 2,111 metres of (mostly basaltic) seafloor off Shimokita Peninsula of Japan in the northwest Pacific Ocean. They used their scientific deep sea drilling ship Chikyu (Japanese for Earth, and pronounced ‘Chee-queue’). They also used that vessel to study the origins of earthquakes sourced below other waters that surround Japan. One of their scientific prizes was a very deep core of extremely fractured rock – cracked into pieces by an earthquake years before the drillers arrived on the scene. Knowing the depth, style, and extent of such deep fracturing gives valuable clues to help understand earthquakes. As 2015 draws to a close, let’s look at a couple other attempts to secure the blazing plastic trophy. In the new year, I’ll write more about one of these latest schemes to drill to the mantle, but for today, here is a very brief recap of the status of the European effort to drill into the thin ocean crust in the mid-Atlantic. As part of the European Consortium for Ocean Research Drilling, a British drilling ship embarked to test the ocean crust in the Atlantic. The Royal Research Ship James Cook left Southampton’s National Oceanography Centre on October 26 for a six-week expedition. Despite the headline on the esteemed Science Daily’s website (Scientists to Drill to Earth’s Mantle Beneath the Atlantic Ocean), it was never the intention of the team on this project to actually reach the mantle. They were hoping to recover cores of rock that had once been part of the mantle. The scientists gathered data to study evidence of life forms found in deep sea basaltic crust, to determine the transformation of carbon in that environment, and to learn the role water, heat, and deformation plays in the nature of old mantle rocks detached and lifted at the Atlantis Massif mid-ocean ridge area. Drilling the Massif, from Expedition 357 Daily Report. The cruise part of the project is over. It didn’t go as well as hoped. By following their daily science logs, I agonized with the crew over the days lost due to rough weather, including some gale-force winds. Tools leaked hydraulic fluid, computer chips malfunctioned, Niskin bottles meant to trap water from the drill failed to close, and some cores were unrecoverable. The total depth of drilling was much less than intended, due to the poor weather, faulty equipment, and the incredibly dense and difficult basaltic rock. As others discovered before them, basalt is not easy stuff to penetrate. 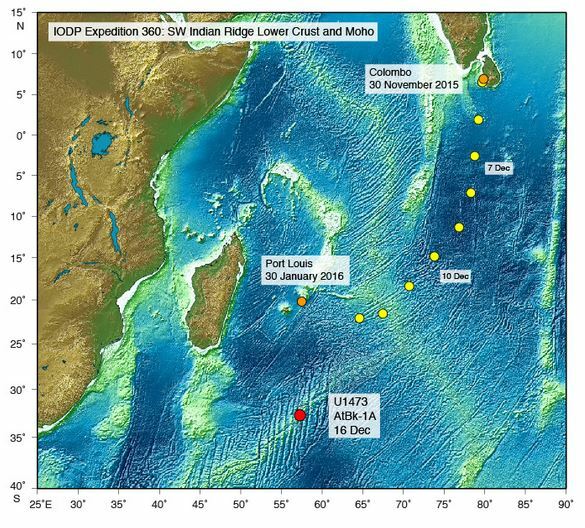 On the other side of the world, the JOIDES Resolution has just set out from Sri Lanka to the Atlantis Bank southeast of Madagascar in the Indian Ocean. They will reach their chosen target site tomorrow, then hover in the sea above some of the thinnest ocean crust in the world. This project seems promising. Or at least as promising as all the other attempts we’ve just discussed. Area map for the latest best hope to drill into the mantle. 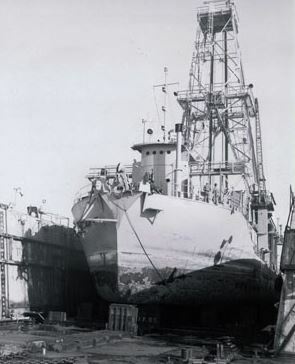 The ship, launched in 1978 from the Halifax Shipyard in Nova Scotia, Canada, is being operated by International Ocean Discovery Program. The goal, once again, is to osculate the hot skin of the Earth’s mantle with a tungsten carbide drill bit. I don’t want to predict the results of this latest great affair. If a commitment is made to stay with the job and push deeper regardless the costs or misadventures, I have no doubt it will be successful. But it will take single-minded persistent stubbornness. I’ll come back to the Atlantis Massif Moho Project in a few weeks when there is actually something to write about. For now, you may follow the expedition’s daily science reports by going to this site. Why do we want to touch the mantle? This is pure science research. For the incorrigibly practical, there are some potentially useful outcomes. Understanding the rocks may eventually lead to earthquake prediction. This is the prime motivator for decades of research by scientists in Japan. Knowing the actual chemical composition of the mantle will help us understand the material that makes up over half of our planet and may lead to new industrial and construction materials. But mostly, for now, it’s pure science and the opportunity to cross the Moho. Tomorrow I’ll wrap up this overview of the efforts to drill to the mantle with another look at the deepest hole ever punched into the Earth – the Kola Peninsula project. And I’ll look at why some people think that the Russian drillers encountered Hell at the end of their drill bit. This entry was posted in Culture, Engineering, Exploration, Geology, Oceans and tagged Chikyu, John Steinbeck, JOIDES Resolution, Kola Superdeep Borehole, Mohorovičić, ocean research drilling, Project Mohole, Stlantis Massif. Bookmark the permalink. “Geophysicists are gneiss, tuff, and a little wacke” – true, but as the story above suggests, they are also sometimes full of schist.